Jazz dance evolved from early African American vernacular dances during the early 1900s. It incorporated unique moves, elaborate footwork, large leaps, rapid turns, and imaginative improvisation to bring an energetic and entertaining experience. Jazz dance requires the foundation of classical ballet to embody balance and agility. Jazz dance is viewed in the spotlight with movies, on stage performances, and in urban areas of the streets and clubs. 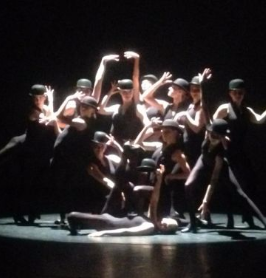 The transformation of jazz dance into dance theatre and the important role of professional techniques and choreography, created “modern jazz dance”. At G12 we have the best teachers with the inovative choreography using styles and trends from ‘Fosse’ to Katherine Dunham. The classes are fun, exhilirating and inspiring.